Video #284: Artsy's Craft Report - SAVOR 2014! Our top ten favorite pairings from this year's tasting are HERE. Now click play... and have a drool napkin handy! Snow in October at Stone Barns.Fancy Artsy = Fartsy? I'm bringin' class to McGlass! Artsy Guy here. For a long afternoon last week, I became Fancy Guy. Some friends and I splurged on the best meal I've ever experienced: Blue Hill at Stone Barns. If you can get to Westchester County (just north of NYC) and want a singular dining experience featuring the freshest and most innovative cuisine, get thee hither anon! A transformative experience in many ways. But where the rubber met the road in regard to THHG Nation purposes came when we added the wine pairing to our experience. As anticipated, we were treated to many amazing local wines (and a pinot noir from near my hometown in Oregon). But what really caught my attention was that the pairings included beer. 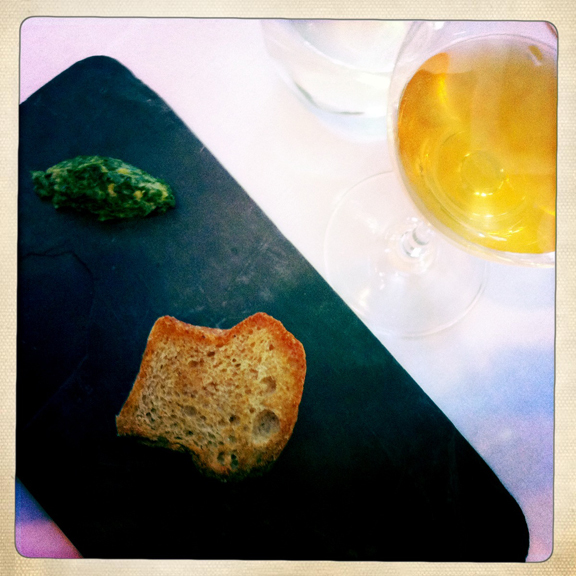 Our bread course (an heirloom grain brioche with spinach puree and ricotta cheese) was paired with a wonderful Belgian-style triple from up-and-coming Defiant Brewing from just down the road. One astounding thing about this pairing was that the heirloom grains used in the bread were used in the brewing of this beer. And upon request a course of varied cuts of pork was paired with a doppelbock from Les Trois Mousquetaires out of Quebec, Canada (a fine bottle that's evidently difficult to get in NY). Heirloom grain brioche and a Belgian-style trippel from Defiant.We've all heard of the synchronicity of pairing wine with food. But it's exciting to witness the finest dining establishments exploring the infinite possibilities of pairing finely crafted beers with cuisine. Very cool! 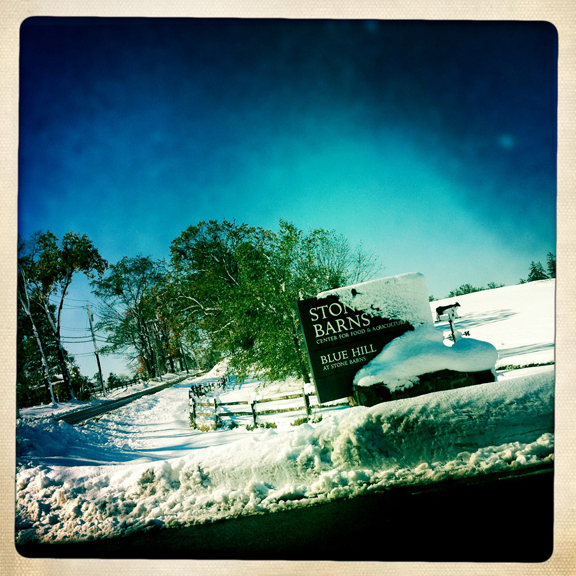 Stone Barns in on the forefront of sustainable agriculture and the education of the same. We were given a tour of the greenhouse and learned they've begun growing hops on the estate. In cooperation with craft brewers Kelso and Captain Lawrence, around 200 rhizomes were planted three years ago, and the plants are just beginning to yield significant amounts. New York state once saw hop farming as a significant industry, it's great to see this as one of the steps to bring it back. Some of the fresh bounty... and where it came from.Blue Hill at Stone Barns. Brilliant! They're what's HOPpenin', y'all!